MEXICO CITY: The project of building a new international airport for Mexico's capital may continue at a lower cost, Mexican President-elect Andres Manuel Lopez Obrador said Monday. Mexican tycoon "(Carlos) Slim and a group proposed that they could reduce the cost, which is the most important thing, and they could take care of the investment without using budget resources," said Lopez Obrador in a video shared via Twitter. "In that case, we could consider the possibility of continuing the construction in Texcoco without cancelling the work," Lopez Obrador added. The leader of the National Regeneration Movement (Morena) party, who won July's presidential elections, said he would hold a national referendum at the end of October on whether to continue building the new airport. Around 20 percent of the airport project is currently completed, he said, instead of the 35 percent reported. His incoming government's alternative to building the airport on a dry lake bed in Texcoco, state of Mexico, is to expand and upgrade a military airport in Zumpango, with an investment far lower than the 13.3 billion U.S. dollars for the project in Texcoco. Lopez Obrador opposed the new airport's construction throughout his presidential campaign, suggesting it was entirely corrupt. In August, he released a series of pros and cons on the project. The president-elect said he had met with the new airport's trustees, and "they requested 88 billion pesos (some 4.6 billion U.S. dollars) from the public budget," a cost he does not believe the state can afford. 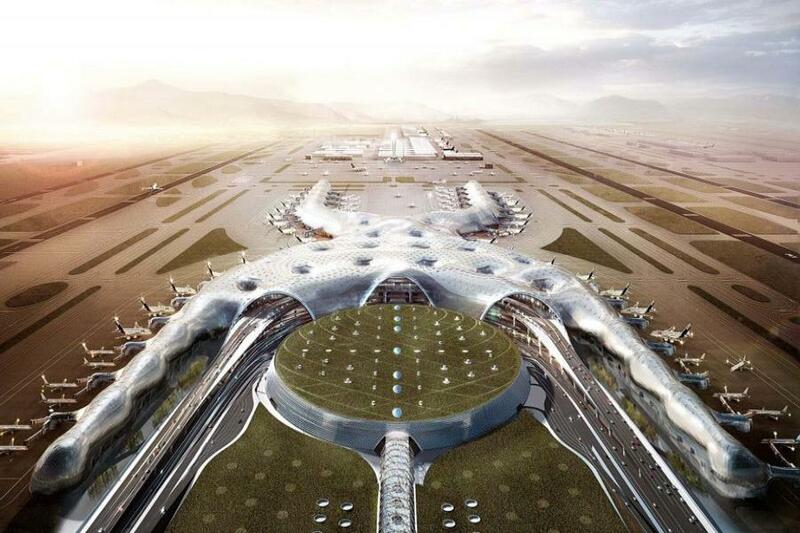 The new airport is planned to start operation in November 2020. Its construction began in 2016.